Tell about one time in the past 5 years where you took a HUGE Step of Faith in your journey with the Lord. What was the outcome? I would have to say just this past month. For over five years I have been frequently home bound due to chronic illness. As a pastor's wife, I was extremely active with church/ministry; subsequently my life as I knew it came to a complete halt. At first I retreated from everyone, including my family. Then one day the Lord "thumped" me on the head to remind me He has a reason for everything that happens to us; He has a purpose, a plan that only I can follow and perform. So for the next four years I dedicated myself to being the best wife, mother, and grandmother that I could possibly be. No, I did not become Suzy Homemaker or Martha Stewart. My health did not permit; no, God's plan for me was to give my family TIME! I learned not to fret over the small stuff; I learned to Live Simply, Laugh Often, and Love Deeply. My daughter and I are best girl friends; my grandson is my best bud; and my husband and I are best friends and lovers. This past month God opened another phase in my life; blogging. For a year I would look at my sister's blog and ponder if I would have anything interesting to say; so I kept ignoring the little subtle nudging. Then one day I said, Okay Lord, I will give this a try! I love it! 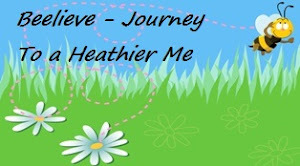 It has not only given me some wonderful blogging friends, but it has strengthened my faith. Not just my faith in the Lord, but faith that "I can do all things through Christ who strengthens me." (Phil. 4:13 NKJV) When one looses their physical health and abilities their self confidence and self worth goes way down. We have to learn to humble ourselves, give up pride, and some dignity along the way as family members have to take care of some of the most personal and private needs. Between medications and illness they have caused memory laps and brain "fogs". There are days that you just feel like you just exist. The blogging world has opened opportunities to share my trials, prayers, praise, laughter, faith, and life in ways I could have never imagined. I may not be able to get out among the "world" or even the "church world", but through the Internet I have been able share, and encourage others along this awesome journey of life. Most importantly, others have given me so much more; their encouragement, testimonies, and sharing the Word have strengthened my faith... in relationships, myself, and most of all my faith in the Lord! Heavenly Father, may I continue to keep my eyes on you and not on my circumstances. May I never loose my focus, my purpose in life; to bring honor and glory to You. May my words always be seasoned with your Truth; may my heart forever be couraged by those You bring along my path; may my Faith in You never waiver. Amen. Oh my, I have tears in my eyes! I am so blessed to have come here today. Thank you for CHOOSING to love God and His plan over your own: what an inspiration! I love your blog, and I will be coming back to see you again. This is such a lovely and encouraging post.God bless you! You have blessed my heart this hour! My Mom is in a situation similar to yours, also a pastors wife, also dealing with several cronic illness and the death of my sister. I hear her voice in your writing. I sense the same struggles and peace that God gives. My mother writes. She has tucked away for me at least 7 bibles read cover to cover, all with her notes and prayers in the margins, She buys a new copy of my utmost for his highest every year and journals her thoughts. She writes hundreds of prayer grams a month to the people she intercedes for. I have been encouraging her to start a blog so she too can gain many more friends and share all that God has taught her through her joys and suffering. I beleive she would not feel so isolated! Michele---I am so glad you obeyed the nudging. So very glad!